Toyota Kirloskar Motor (TKM) launched the Toyota Etios Cross with prices starting from INR 5.76 lakhs. 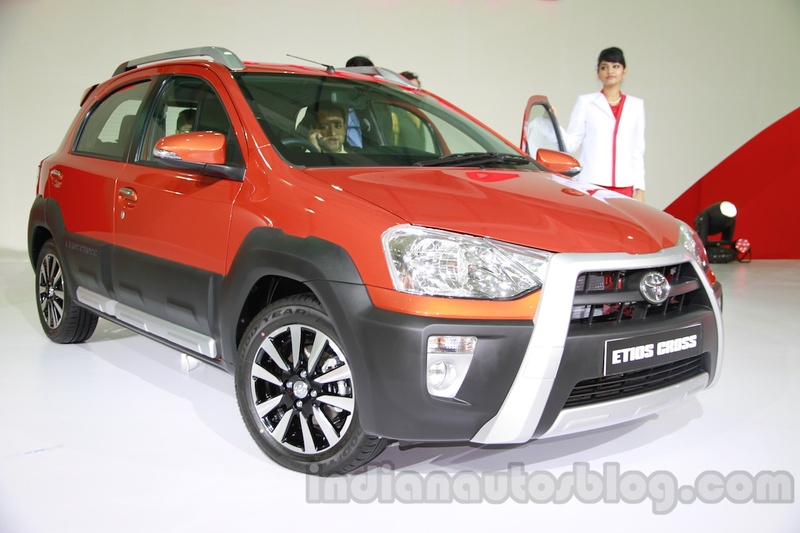 Apart from catering to domestic demand, TKM says it will also export the Etios Cross to other markets. 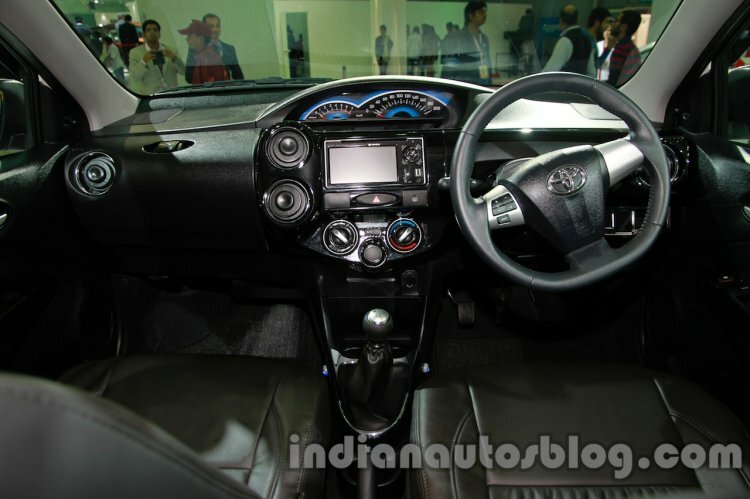 The Etios Cross had its Indian debut at the Auto Expo. The Etios Cross is available in three engine options and four variants. The diesel is available in GD and VD grades, while the 1.2 petrol is available in G grade and the 1.5 petrol in V grade. Interiors of the Etios Cross added for reference. The Etios Cross is priced INR 50,000 more than the standard Liva (comparing the top-end diesel model). For the added price, the Etios Cross comes with a new grille, side plastic cladding, diamond cut alloy wheels, roof rails, rear spoiler and piano black interiors. The top-end VD diesel and V petrol models come with driver and passenger airbag, ABS and EBD as standard. Mechanically, there are no changes to the Cross compared to the regular Liva. The 1.2-liter engine outputs 80 PS, the 1.5-liter makes a higher 90 PS while the 1.4-liter diesel produces 68 PS. All variants come with a 5-speed manual transmission.